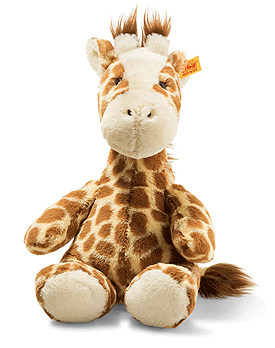 Steiff Girta Giraffe is made by hand, in the finest spotted light brown cuddly soft plush. 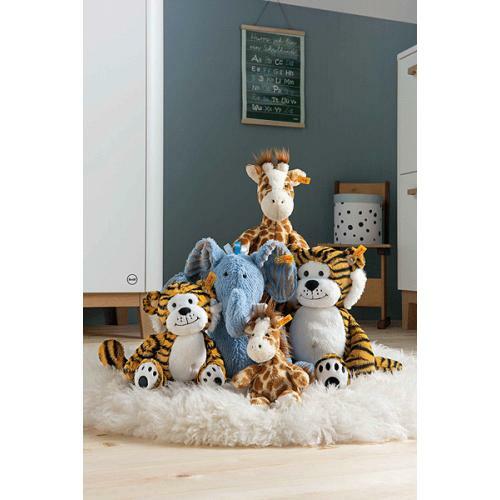 Girta giraffe measures 28 cm and is made of soft and cuddly plush fabric. 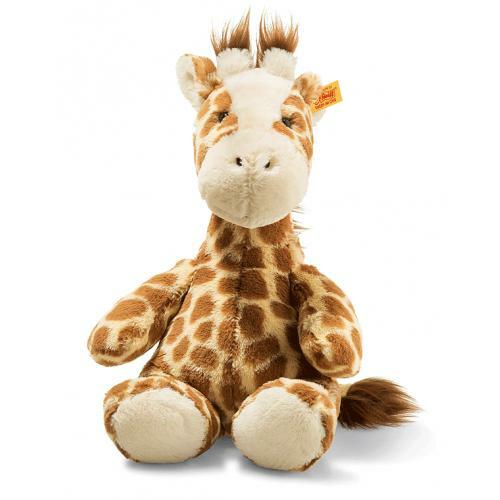 She has the typical light brown coat with dark brown spots and a brown mane. Her tiny horns and tail have little tufts of brown hair on the ends. Her face and the soles of her feet are cream-coloured, just like the horns and inner ears. The mouth and nostrils have been created using black stitching. Bean bags sewn into her arms, legs and bottom ensure that she can sit properly.